Stories have been a part of my life for as long as I can remember. When I was young, my father made up wonderful, adventurous bedtime stories about a little girl (me) and a flying horse. I devoured fairytales, fables, adventures, and mysteries. The ones I liked best had an “against all odds I have to do this” reasoning of the hero or heroine. Sacrificial love—a love that would make the character face his/her fears, mature, put another before themselves…and in the end win—these are the stories that spoke to my heart then, and they still do. They are the stories I love to read and the stories I want to write. They intrigue me, inspire me, and captivate me. I’ve read romances that make me laugh, make me cry, and make me root for a character, hoping that the tremendous odds stacked against him won’t break him before he comes to a full understanding of his truth. When in the end, he emerges stronger for his struggles and wins, (in a romance, they always win) his reward is more than he hoped for. Now that is a satisfying ending I like! The journey of the heart is powerful. It is life-affirming. It’s an adventure! 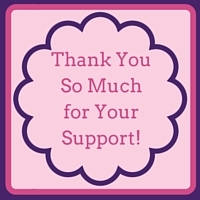 And the great thing about romances are that they celebrate that journey in a myriad of forms~ westerns, paranormals, military, inspirational, suspense, historical ~ there’s a story for every type of reader, every type of mood on a continuum from fun and flirty to angst-ridden and emotional. I think authors from other genres have caught on. Even The Hunger Games, about a bleak dystopian future, has a romance and it makes the story. Romance rules! I recently read Shelley Gray for the first time, compliments of a 99 cent “deal” on Amazon. 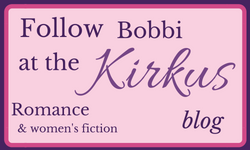 A Texan’s Choice is book #3 of her Heart of A Hero Series. Now I know I will have to read the first two books of that series. Her tough characters are so very flawed that they pulled me in as I rooted for them to overcome their past and their problems. Another author I like is Kristin Hannah. On my TBR pile is her Firefly Lane. When I was twenty, I drove across the country to go to college. My Dad accompanied me from the Pacific coast to Texas to make sure I didn’t get stranded in the desert. (This was before cell phones!) I dropped him off at the airport in Amarillo so that he could fly home, and I continued in my VW Bug to the Midwest on my own—just me, my sleeping bag and a bean bag chair. I had John Denver blaring on the radio and a summer storm nipping at me most of the way. I arrived just ahead of a tornado that wiped out the phone lines, so I couldn’t call and let my folks know that I’d arrived safely. When our boys were young, we moved to a small town for my husband’s job. I loved my first chance to be a stay-at-home mother, but I felt very isolated. Reading romance between diapers and dinner became my “me time.” I came across a short story contest in Redbook Magazine and, on a whim, entered. When my story placed ninth out of hundreds of entries, it was enough positive reinforcement to start me thinking seriously about writing. When I was younger, Helen Hunt Jackson’s Ramona—the first historical romance I ever read and “set” in my own backyard in southern California. Who knew that history could be so interesting? 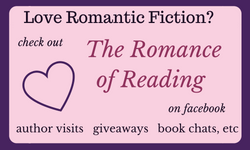 Not a traditional HEA “romance” but romance saturates every page. After writing in medical charts (where fiction is frowned upon) as a nurse, Kathryn Albright was delighted to use the “other” side of her brain to write historical romance for Harlequin, Mills & Boon. 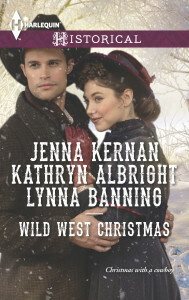 Her next release is part of Harlequin’s Wild West Christmas Anthology coming in October 2014. 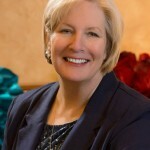 She lives in the Midwest and loves to hear from her readers at www.kathrynalbright.com.